Guys, just so you know, a Divekick isn’t a real move. It’s impossible from a physics / human point of view. You can make a jump kick but not a Divekick. But we’re not here to talk about real life. 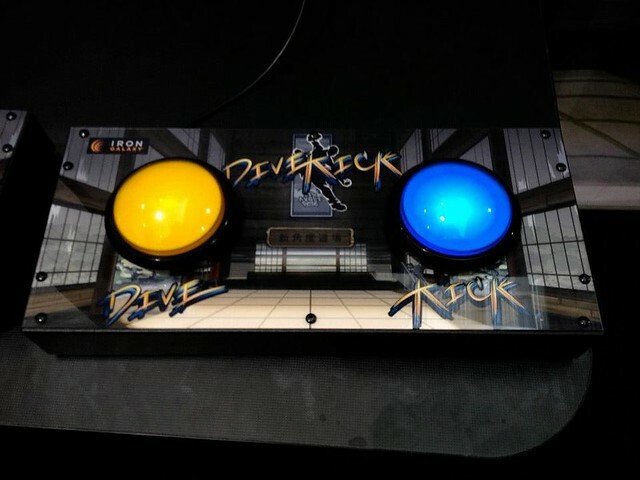 DiveKick is a fighting game that only needs 2 buttons. Yep, no directional pads, no shoulder buttons, no analog sticks. 2 buttons. 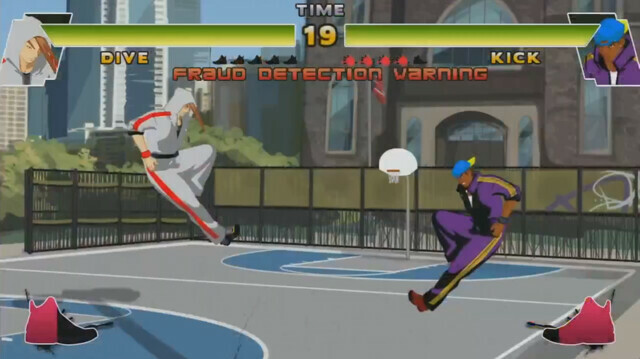 DiveKick is a homage to all the fighting games that have this mechanic. Dr.Doom in MVC3, KungLao from MK, Rufus from SF. It was originally being put up to be funded via kickstarter, but eventually they found a publisher to make the game. It was brought to some fighting game events and received really positive reception from people. DiveKick only has 2 buttons. Dive which is actually a jump button and Kick which makes your character, well, do a dive kick. What is a divekick? It’s essentially a diagonal torpedo-like movement done from the air, think making a forward dive led by your foot, hence a divekick. In this game, you win by getting just a single hit. That’s right. 1 hit. Each round is just 20 seconds and it’s a race to 5 wins to be victorious. Let me tell you how each round feels: you know the feeling when watching or playing a fighting game when there’s only a sliver of life for both players and just 1 hit will win the game? In my experience, there’s a lot of shouting and excitement during these situations. Each game in Divekick feels like this. DiveKick is not just a homage to fighting games, but a homage to fighting game community as a whole. You can tell by the characters in the lineup, it has a female Dr.Doom, a female Kung Lao, a Rufus-like character, a character based on fighting game community manager Seth Killian, and a bunch of other folks. DiveKick comes out August 20th for PS3, PS Vita and PC. If you still can’t picture out how the game works, below is the grand finals for DiveKick during the last EVO. Toothpaste Cleans Your Blurry Headlights?